It’s always pleasing when publishers turn popular picture books into board books. In recent years, there’s been no shortage of these new ‘classics’ available in a board book format, meaning that babies can chew on (I mean read) a wide range of stories. 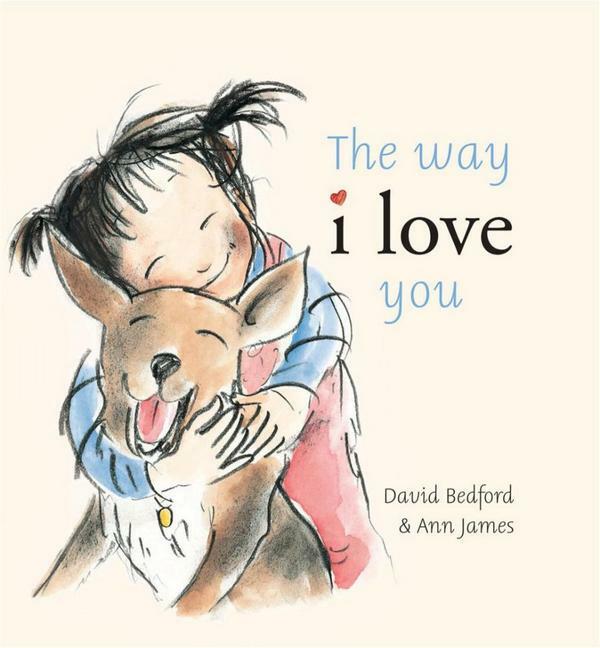 One such story is David Bedford and Anna James’s simple ode to love between a little girl and her dog, The Way I Love You. First published in 2004 and newly released as a board book, The Way I Love You captures the simplicity (and indeed the complexity) of a child’s relationship with their pet. The text and illustrations show a dog as a faithful and willing companion in all of a little girl’s activities – he obediently allows her to put a crown on his head and be served tea while playing make believe games; he’s an accomplice when the little girl sneaks biscuits – “I love the way we always share…” – and they end the day with a cuddle. Simple but charming stuff. James’s soft, pastel-hued pencil and water-colour illustrations capture looks of determination, delight and love on the little girl’s face and although the dog’s eyes are just two mere pencil lines, they show concern, devotion, alarm, joy, reluctance, excitement, contentment and of course, love. If there’s a pet in your house, this is a must for the library. The Way I Love You board book is available in all good book shops or online at Fishpond.